Meet Miss Subways: she was once touted as smart, attractive, and driven. She may have been an aspiring actress, a hard-working student, a stewardess or secretary. 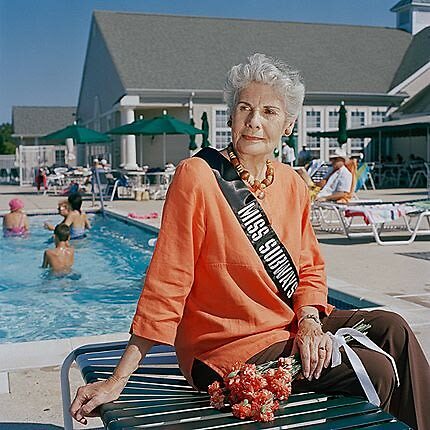 And now, thirty or so years since she won her title, she and her fellow beauty queens will star in a forthcoming book and exhibition at the NYC Transit Museum. 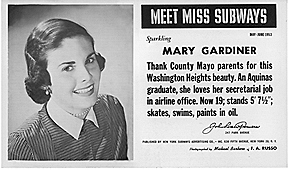 Each month from 1941 to 1976, the NYC Subways Advertising committee named a new Miss Subways, an everyday working woman whose head shot and bio were printed on 9,000 subway placards throughout the city. 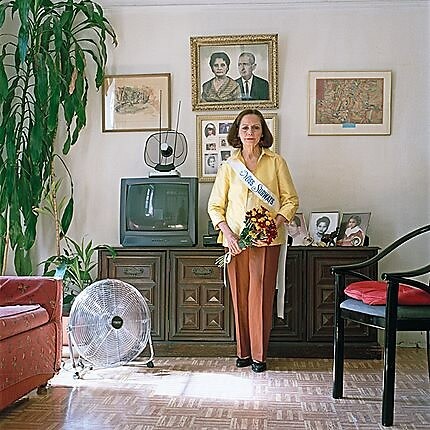 Through some serious sleuthing, New York-based artist Fiona Gardner and journalist Amy Zimmer tracked down 40 of the nearly 200 former Miss Subways and filled in their stories from the time they graced the posters to the present. Gardner and Zimmer have launched a (nearly fully funded) Kickstarter project to publish a Meet Miss Subways book. The compilation will include Gardner's present-day Miss Subway portraits and photographs of promotional posters, artifacts and more. 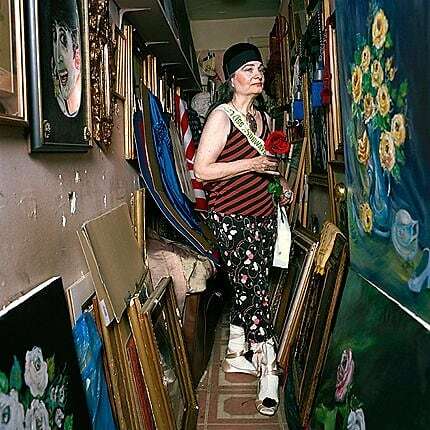 The duo’s collection of oral histories and images - both vintage and recent - will also be on display at the NYC Transit Museum this November. In addition to telling each winner’s story since her subway salute, the tribute tracks the history of New York transit, women’s rights and racial equality. The competition was notably ahead of its time, with a diverse group of women earning the Miss Subways title. Thelma Porter, for example, became the first black Miss Subways in 1948, over 30 years before Vanessa Williams was crowned first black Miss America. Until their project reaches fruition, you can find some of the photographs on Gardner's website and plenty of the original Miss Subways placards at Ellen’s Stardust Diner, the kitschy Times Square spot with singing waitstaff. Gardner and Zimmer still appear to be tracking down these transit beauty queens, which means that we could meet more Miss Subways soon.